Kim Kardashian's Paris Robbery An Inside Job? One of the arrested suspects is allegedly the family's Paris limo driver. Multiple sources report that the majority of the suspects arrested on Monday were "seasoned criminals" with a history of drug trafficking and armed robberies; according to the New York Times, "the suspects appeared to be part of an experienced group with connections to organized crime." 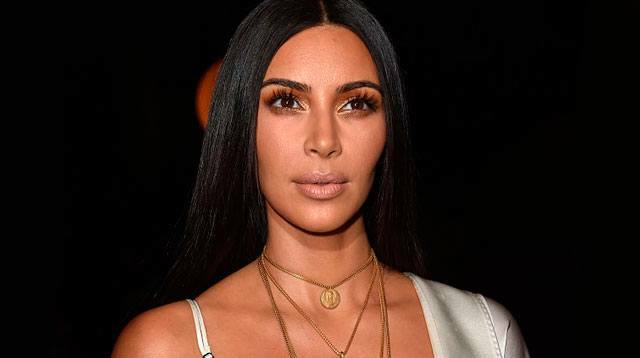 People also reports that the five men who allegedly dressed up as police officers to gain access to Kim's hotel have also been arrested, in part thanks to DNA evidence from the adhesive tape wrapped around the reality star's wrists. The source adds that the average age of these men is 55 years old. Otherwise, little information has been released so far about the three women and 14 men arrested, aside from the fact that the oldest amongst them—currently being identified as "Pierre B. "—is 72 years old.